Make no bones about it, car insurance companies are thorough when analyzing the risks and costs of providing coverage for their customers. Years of data have been collected to create an accurate portrayal of potentially liable drivers. While it may be all about the numbers, it ends up getting personal when they delve into the risk factors involved in insuring you – it’s ok, they do it to everyone. The biggest thing you need to concern yourself with is whether your personal traits can affect your premium. Right off the bat, insurance companies look at your personal statistics like age and gender to determine your risk as a driver. Those that are under 25 years old and male are likely to have higher insurance rates, as they’re the ones whose driving results in the most fender benders. This gender-based rate disparity lessens with maturity, but some carriers still maintain a division regardless. Where you live and work is another factor. Urban dwellers usually reside in higher theft and accident areas. Additionally, the cost of repairs and medical treatment is generally greater in cities as well. Let’s not forget about your occupation. Those whose jobs require driving long distances will most likely pay a premium for it. And it’s not just about mileage. Unusual working hours – weekend night-shift workers, for example, will be driving during dangerous times, thus their insurance rates will climb. The type of vehicle you drive can impact insurance rates as well. First, insurance companies look at sticker price and repair costs. That high-ticket sports car will undoubtedly cost more to fix post-accident than a budget sedan. Those vehicles with risky safety records or a penchant for getting stolen will incur a cost as well. When new-car shopping, it’s worth getting estimated rates from your insurance company for two or three of your top vehicle choices. 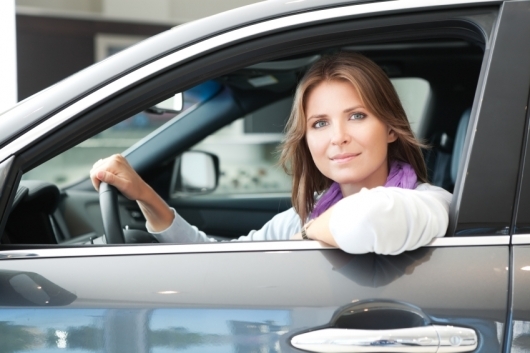 Past driving history can tell an insurance company a lot about your future driving style. Two factors in particular are ones most watched: the overall number of annual miles you drive and your accident/ticket history. Keep miles and tickets to a minimum and there’s a good chance your rates will drop. Using years of research and analysis, insurance companies can use your credit score to predict the likelihood of insurance losses once you’re under their coverage. So even though you get approved for insurance, you may end up paying extra for your plan if your credit score isn’t perfect. The principle is this: the more risk you assume, the less your insurance company has to worry about. Therefore, the lower the deductible, the higher your rates will be. By compromising slightly on your desired insurance coverage – i.e. opt for higher deductibles – you’ll take on a little more personal risk for the reward of lower monthly rates.